We used a total of 34 secondary sources for this website. Thus, to write two paragraphs for each would be tedious for Mr. Chin You to read and for us to write. Instead, and as the specification says write the two paragraphs for a minimum of 4 secondary sources, we only expanded upon 2 secondary sources (each) to such an extent. These posts are distinguished by being bold and have two paragraphs. For everything else, we merely wrote a sentence or two summarizing it and explaining its relevance to our study. Religion used no new secondary sources in and of itself. Everything that was used as a source for religion can be found below in another category. All sources that were also used for RELIGION will specify in the description. Theobald, Ulrich. “An Age of Prosperity: Kangxi, Yongzheng, Qianlong.” Web. 09 Jan. 2014. This article explains the reasons for which China was a prosperous nation during the Qing Dynasty. It places the blame for the prosperity of the Chinese on their intensive trade with Europe, which granted them lots of wealth, and lots of population growth. The large amount of space that the Qing Dynasty possessed was a great contributing factor to this expansion. Crops like cotton, rice and tea required much space to grow and the lack of space in Europe was a large barrier to growing them; a reason for which Europe needed the Chinese, and made them incredibly wealthy. Additionally, the influx of new crops to grow brought great wealth to all those with fields – like the Qing Dynasty. Their ability to grow all of these plants and the waterway system they had in place for transporting goods brought them great wealth. This article is relevant to our study as it explains a lot about the trade between China and Europe, and how agriculture affected this. One of our main topics about European-Chinese relations is Politics & Trade, and this article focuses on the trade aspect, which was huge in relating China to Europe during the Qing Dynasty. History Learning Site. “China in 1900.” Web. 09 Jan. 2014. 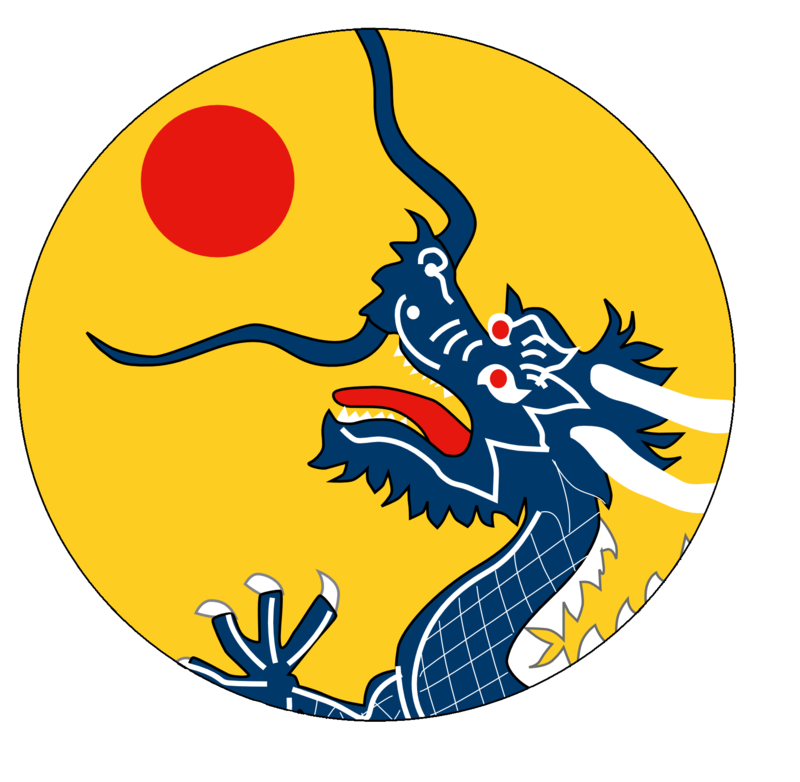 A great resource for general research on Qing Dynasty history; it covers almost all of it, in brief, pointed summaries. China Tours. “Qing Dynasty (1644-1911 AD).” Web. 09 Jan. 2014. A long article going into more significant detail on each event than the last one, but still being easy to read and understand. Prof. Arkenburg. “Modern History Sourcebook.” Fordham University. Web. 09 Jan. 2014. More of a primary source, but since we could only have four of those, it’s included here. This is a version of a letter sent to Queen Victoria; it gives a lot of insight on the general relationship between China and Europe during the Qing Dynasty. Allingham, Phillip. “England and China: The Opium Wars, 1839-60”. The Victorian Web. Jun. 2006. Web. 07 Jan. 2014. Very specific detail on the Opium Wars, this website can answer all questions around it and provide a lot of detail about why they arose and how they played out. Shen, Jia Li. “Qing’s military.” Ancient Worlds. Sep. 2009. Web. 07 Jan. 2014. A nice description of the Qing military at the time, giving the ability to understand the technological and tactical differences between China and Europe that could have contributed to losses. Additionally, it briefly touches on some wars in specific and can be used to understand more about them. Rosenburg, Jennifer. “1900 – Boxer Rebellion.” Web. 07 Jan. 2014. This article explains a lot about the causes of the Boxer rebellion. It goes into great detail about who the boxers (actually called the “Society of Righteous and Harmonious Fists”) were and what they did to cause such an outrage among Western powers. Cone, Daniel.”An Indefensible Defense: The Incompetence of Qing Dynasty Officials in the Opium Wars, and the Consequences of Defeat.” Emory University. 07 Jan. 2014. This article talks about the Opium Wars, the great battles between England and China (referred to as the Manchus in the article). The main point the author is trying to get across is that the reason England won was not because of superior technology, great numbers or wealth, but because the Qing Dynasty officials were incompetent and could not hope to defeat the English. The article attributes the causes to the Chinese being completely unprepared for war, despite knowing it was inevitable. They expected the English to be dealt with by the local militias, and so did not prepare adequately for when the English crushed local militias. The author blames all the problems during the Opium Wars on Chinese incompetence. The Opium Wars are a huge, important, event in the history of relations between China and Europe. They are possibly the most significant event in the entire joint history of the two regions, and are very relevant to our study as such. This insight on how the Opium Wars were lost explains a lot about the Opium Wars in general and is a great resource for anyone interested in Military Conflicts between China and Europe. “Sino-Soviet Amur Conflict.” 07 Jan. 2014. A ridiculously extensive article on the Russian-Manchu Border Conflict, it explains every event in great detail and is a great resource for anyone trying to learn more about the early wars of the Qing Dynasty. Chere, L. M. The Diplomacy of the Sino-French War (1883–1885): Global Complications of an Undeclared War. Print. Notre Dame. 1988. A great read if you’re bored and waiting in a library before working on a History ISU, it gives some further detail on the Sino-French War, which is one of the few wars not involving England between Europe and Asia. “Taiping Rebellion.” Encyclopedia Britannica. Mar. 2013. Web. 07 Jan. 2014. One of the few sources on the internet with regards to the Taiping Rebellion, this article gives a nice overview of the rebellion, what caused it and how it played out. It doesn’t give too much attention to European interaction in the rebellion, but is a great source nonetheless. A source from the actual Taiwanese government, interestingly enough. It discusses Koxinga’s relations with the Dutch on the island of Taiwan, and the culture of his “era.” Thus, I used this to learn more about Koxinga’s reign than Koxinga as an individual. Another reflection of the significance and history of Koxinga’s conquest of Taiwan from the Dutch. This one, how, revealed a bit more to me about Koxinga himself. Zelin, Madeleine and Sue Gronewold. “Macartney and the Emperor.” Asia for Educators, Columbia University. 2009. Web. 08 Jan. 2014. This discusses not only the facts and events of the Macartney Embassy, but also the context surrounding the events as well as Macartney’s interaction with the Emperor specifically. Thus, it was important to POLITICS & TRADE, and to IMPORTANT PEOPLE: George Macartney. This resource discusses both the Jesuits’ roles in Qianlong’s (and many other emperor’s) court, and their contributions (such as cartography and military.) Thus, it was useful not only for understand Qianlong’s highly dynamic and varying relationship with the Jesuits, but also their contributions in RELIGION: Sciences and Technology. Marx, Karl. “Revolution in China and In Europe.” New York Daily Tribune. 14 Jun. 1853. Web. 09 Jan. 2014. In which Marx discusses the taiping rebellion, denounces it and attributes it european imperialism. Though this may be considered a primary source, it was used as a secondary source. I used this to better understand the context of the events. Leung, Janice Y. “A Critique of Marx’s View of the Taiping Rebellion and Its Origins.” Armstrong Atlantic State University. Apr. 2013. Web. 09 Jan. 2014. Here, the author reflects upon Marx’s assertions, and refutes them. If I were to exclusively rely on Marx for my understanding, it would become bias. Thus, I used this in an attempt to prevent a bias from arising in my work. Little, Daniel. “Marx and the Taipings.” Understanding Society. 13 Feb. 2009. Web. 09 Jan. 2014. Similar to the above source, this simply reflects upon Marx’s assertions. Used in the same way and for the same reason as the source immediately above. Halsall, Paul. “The Chinese Rites Controversy, 1715.” Fordham University. Aug. 1997. Web. 06 Jan. 2014. (Both primary and secondary source.) Discusses the controversy and it’s context briefly, and also provides primary sources. I used this to better understand the Rites Controversy, and, as the controversy was during the reign of the Kangxi Emperor, to better understand him. This source was also used in RELIGION. Hanson, Marta E. “Jesuits and Medicine in the Kangxi Court (1662 – 1722).” John Hopkins University. Jul. 2007. Web. 08 Jan. 2014. A very specific, interesting article. It discusses Jesuit scholars in depth, outlining their influence and social standing – particularly in the field of medicine. A very thorough yet concise explanation of Castiglione’s life and influence, from the same source of “The Grandeur of Art During the Qing”. This was very relevant to my studies in a number of fields; it helped me understand Castiglione for IMPORTANT PEOPLE, and, therefore, as he was a prominent artist, it helped me understand ART. Moreover, as he was a Jesuit artist, and arguably the most important one of all, it helped me understand RELIGION: Art. Shea, Marilyn. “Ferdinand Verbiest 南懷仁, 1562-1633.” Sep. 2007. Web. 08 Jan. 2014. This resource discusses Ferdinand Verbiest, and his life and many contributions – such as how he impressed the Qianlong emperor. Thus, I used it not only in his page in IMPORTANT PEOPLE: Ferdinand Verbiest, but also in RELIGION, as a means to understand both the general relationship between Jesuits and the Kangxi emperor AND Jesuits’ scientific contributions. “Style Guide: Chinoiserie.” Victoria and Albert Museum. Web. 08 Jan. 2014. A concise guide to the Chinoiserie movement, discusses prevalent themes within the artwork and provides MANY good examples. Hearn, Maxwell K. “The Grandeur of Art During the Qing.” Columbia University. 2005. Web. 08 Jan. 2014. A fantastic source for artwork during the Qing dynasty. It discusses in detail all three schools of art that were present during the Qing dynasty – the individualists, the orthodox school, and the documentary artists. It then expands upon their methods and the context for their art – why they did what they did, etc. More than just specifics, however, it also discusses art in the Qing Dynasty in a generic sense – i.e, their approaches to art, the techniques they often utilized, etc. Perhaps the most pivotal facet of this article, however, is its tendency to relate Qing Dynasty Art to Western art, and expand upon the influence therein. Not only does it explain the differences in their approaches, but then it shows exactly how these differences influenced each other when they first collided, AND provides excellent primary sources as examples of this. It also discusses the way one viewed the other, and the prevalence of Chinese porcelain. This site was particularly relevant to my studies regarding the influence of Western styles and techniques in the Qing Dynasty, because it explained everything very well. It told me exactly how one viewed the other, and provided examples of the influence. It’s very expansive, and touches upon anything I’d need to know for how the West influence the development of Qing dynasty art. “Qing Emperor Portraits.” University of Oregon. Spring 2006. Web. 08 Jan. 2014. Hearn, Maxwell K. “The Qing Dynasty (1644–1911): The Courtiers, Officials, and Professional Artists.” The Metropolitan Museum of Art. Oct. 2003. Web. 08 Jan. 2014. “Medici Porcelain.” Encyclopædia Britannica. Web. 08 Jan. 2014. Just a site I found particularly interesting – not so much because it provided crucial information, but an interesting primary source (Medici porcelain vase) and the context behind it. “Giuseppe Castiglione (1688 – 1766).” Columbia University. 2005. Web. 08 Jan. 2014. Arnold, Lauren. “Introduction: Of the Mind and the Eye.” Ricci Institute, University of San Francisco. Apr. 2003. Web. 08 Jan. 2014. Naturally, this was very useful to my understanding of art, as it introduced me to new artists, revealed the tenuous relationship between the Qianlong emperor and Jesuit artists, and gave a detailed explanation of Giuseppe Castiglione’s rise to prominence. This resource was absolutely pivotal to the development of the ART page. Munger, Jeffrey and Alice Cooney Frelinghuysen. “East and West: Chinese Export Porcelain.” The Metropolitan Museum of Art. Oct. 2003. Web. 08 Jan. 2014. This resource exclusively discusses Chinese export porcelain, from it’s role in trade to how it was made to Europe’s fascination with it. This resource was very useful for ART, when I began to discuss Chinese export porcelain. Xin, Yang et al. “Three Thousand Years of Chinese Paintings.” Yale University Press. 11 Aug. 2002: 282-285. Print. 02 Jan. 2014. I read an excerpt from this book that stated the Emperor Qianlong thought that the harsh shadows on his face looked like dirt, and demanded they be removed. As I used this information in Primary Source 1, and ART: Western Influence on Qing, I’m obliged to state where I got it from.